Today is an emotional day for me. It marks 20 years of working in the healthcare industry. As many of you probably do not know I have worked full time for Humana for several years now. Today is my last day at an amazing company and I have been truly blessed to work for Humana. I came to Humana with no degrees, no books, no businesses. I was a single unemployed mom struggling to make ends meet. Little did I know God had plans for me there. 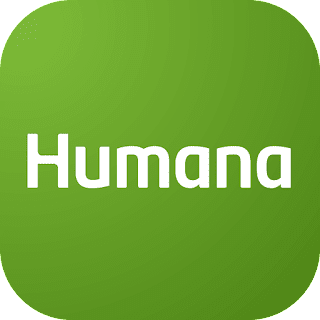 While at Humana my marriage was restored, I obtained my Bachelors, Masters, and started my Doctorate in which Humana assisted me through tuition assistance. I wrote 4 books and started my 5th while at Humana, I became a certified divorce coach, started a nonprofit Divorce Recovery Advocates for Women, and a for profit Inspired Grace Media Productions. I hosted conferences for divorced, separated, and remarried women and this year started travelling with women and incorporating my workshops into retreats. I also became the Celebrate Recovery Pastor at my church tasked with relaunching an amazing ministry that is near and dear to my heart. All of this during the time I worked at Humana. Yes, I’m a busy bee lol. The most amazing part is I accomplished all of that in 5 years while working at Humana. Yes, I said it 5 years my life has changed tremendously. As I reflect, I'm thinking dang gurlllll you did all that?? Now don’t get me wrong it was because of God’s Grace not myself that I have accomplished what I did but my family and Humana was a major part of my support system while doing so. As I worked there, I made it a point to absorb everything I could along with the knowledge of my parents, and support from my family to make sure on this day (today) I would have the tools I needed to begin growing successful businesses of my own. As you can all imagine working 3 jobs 2 in which I started, earning two degrees and starting a third, writing and publishing books, earning certifications travelling and speaking domestically and internationally, and working on relaunching a ministry is a lot. ***I DO NOT RECOMMEND IT*** I learned firsthand what it does to you and it’s not healthy at all. If people only knew the real sacrifices it takes. My health and family have suffered the most. So, to them and myself I want to say I’m sorry. These accomplishments came with a price. However, that is the past and I'm moving forward next month in April I turn 40 and for me this is a new adventure one in which I’m not sacrificing my time with my family and I’m not paying the price with my health. So, what is next for Charis? At 40 I plan to go after God's purpose for my life full time, work on my health, focus on completing my doctorate, teach others, build my family’s legacy while expanding and rebranding my businesses and continue focus on serving God through the Celebrate Recovery ministry. Come to think about it I have given my passions (both of my businesses) only a small part of me. I can’t wait to see what will happen when I’m able to operate in both on a full-time basis. Yes, I’m scared, nervous, and excited not because I’m leaving Humana but because I have no idea where God is going to take me. This was such as hard decision to make (because I like being in control), but I can finally say I am giving God free reign over my life and I look forward to serving God in all that I do. I’m no longer saying it to people while on stage with a mic in my hand, I’m doing it. So, April I will be stepping away from everything including my businesses. I need a break after 5 years from everything hey I earned it lol. I plan to travel this month not to speak but for myself and the love of travel and work on my health. Also, to get clarity as I step into this new season of my life. I'm going to see the world and the beauty God created in it. No, I have no idea where I'm going (hey that's the best part) but I know God will lead me so please keep me in your prayers.